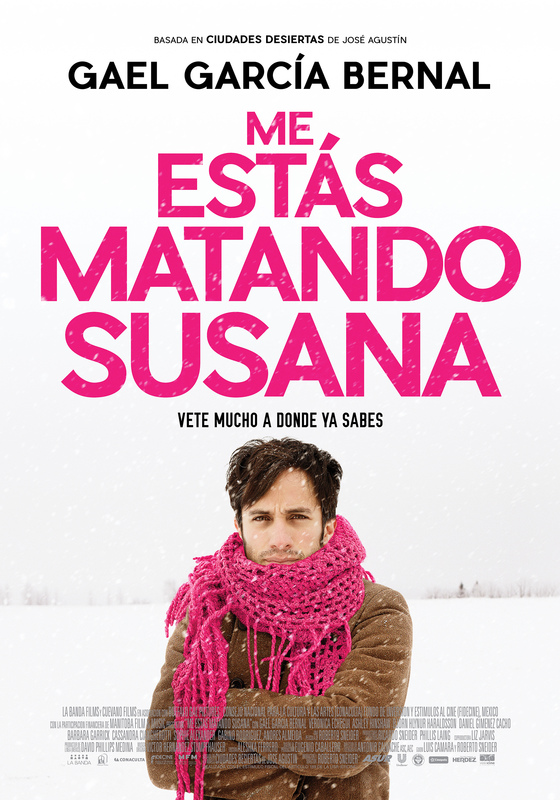 “YOU’RE KILLING ME SUSANA” is based on the novel “Ciudades Desiertas” by José Agustín. With a dose of corrosive humor it follows Eligio’s quest to recuperate the woman he loves. It is the journey of an illustrated Mexican into the heart of the U.S., to a rigid society and a frigid winter, but above all into his own soul, to confront the contradictions between his macho idiosyncrasies and the love he feels for his woman. It is a journey of growth, funny, painful and ultimately romantic.